Healthy Holidays: Sticking to the Plan! 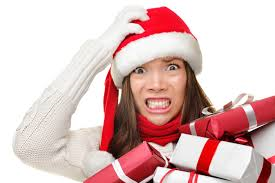 The holidays are quickly approaching and they are a time when it is very easy to get out of our regular routines. While most of us enjoy the holidays overall, they can be a very busy time when we can be stressed with long lists of things to do, places to go and of course, it is starting to get chilly outside making us less likely to want to venture outdoors for exercise! This may seem like a perfect time to take break from your healthy eating and fitness routines until the New Year. But wait! Let’s not be too hasty to give up our routine and all of the gains that have been made throughout the year. 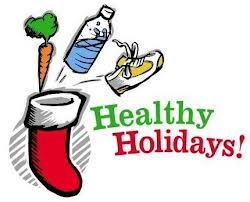 It is time to come up with a plan for surviving the holidays the healthy way! While it might seem like a good idea at the time, giving up our routine now can lead to regret when the New Year rolls around and we have packed on a few extra holiday pounds and are feeling drained and out of shape. It is very easy to find an excuse not to exercise, especially at this time of year, but we do not want to begin the New Year a little heavier and a little more stressed than we may already be! In order to stay on track, you must first acknowledge the fact that your routine will have to be altered somewhat in order to make time for fitness around the extra commitments you may have at this time of year. By looking ahead and planning to make some adjustments to your schedule, a new routine can be set for the next few weeks when life gets busy. While you may not have the same amount of time to commit to fitness that you do at other times of the year, “something is better than nothing” when it comes to your health and modifying your routine to at least a maintenance program will set you up for a successful start to the New Year. For example, if your busy holiday schedule makes it hard for you to get to your regular fitness class, you may need to hit the gym for your own workout on days when the class time slot just doesn’t work. By keeping fitness a priority on your schedule, you will be able to modify your day to include a little “fitness on the run” wherever you can squeeze it in! During the holidays, we tend to consume more calories than we typically would as we are surrounded by treats and special meals, holiday parties and office celebrations. These extra indulgences make sticking to our fitness routine even more important if we do not want the scales to reflect our indulgences when the New Year rolls around! Get creative with working fitness in to your routine during this busy time of year. If you are meeting a friend for some holiday shopping, plan to meet early and do some power walking laps around the mall! In need of a family Christmas tree? Why not hit a U-Cut farm instead of a tree lot? There is nothing like a nice hike through the woods to get your heart pumping! Going to deliver holiday gifts to the grandchildren? Suggest doing a little sliding in their backyard – a few trips up and down the hill makes for some great cardio! Rearrange your schedule as needed. If you know you are going to miss your regular evening workout due to a holiday function, set your alarm a little earlier and try a morning workout. 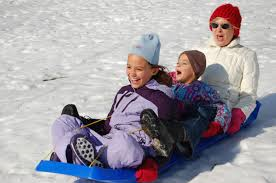 Combine exercising with family commitments – instead of a family get together centered around food, why not set up a sliding or skating party? Cross-country skiing or snow shoeing are also great options in our neck of the woods! Create a home workout for the days you can’t make it to the gym for your regular workout routine. There are many great online workouts or DVD’s that you can use at home as an alternative for days that you just can’t make time for the gym. Schedule in your fitness just as you would any other appointment. Take some time to schedule your day the evening before making sure you have time booked in for fitness at least 3 or 4 days of the week. Bundle up! 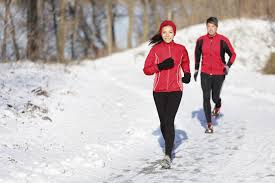 If you are dressed for the weather, it will not seem nearly as bad to workout outside with any one of a number of winter fitness activities such as: ice skating, cross-country or downhill skiing, snowshoeing or sliding. Be prepared! If you enjoy walking or running outside, just be sure to have good footwear that grip well and avoid icy and dark areas. Buddy up! Find a friend who enjoys winter activities – their enthusiasm will rub off on you and you you just may find yourself having a good time despite yourself! Find some fun winter activities in your area: winter fun runs, curling funspiels, pond hockey tournaments are just a few of the many winter activities that get us enjoying the outdoors! The holidays are a time when it is especially important to remember the “80/20” rule so we can build in some time to enjoy a few little indulgences! Follow your healthy eating and fitness regimes 80 percent of the time so that the other 20 percent can be used to enjoy some of your favorite holiday treats! Think about what you enjoy the most and plan to indulge in it rather than feasting on everything that comes along throughout the holidays. If you plan ahead and choose wisely, you can have a stress free holiday that allows you to maintain your fitness level and your weight in to the New Year!